Pick up at your hotel by your English-speaking driver/guide. Visit two wineries near Madrid on this small group tour. Enjoy wine tastings and a 3-course meal at a vineyard. Stop at Chinchon, a small medieval village. Pick up is provided at your hotel by an English-speaking driver/guide in a luxury minivan. 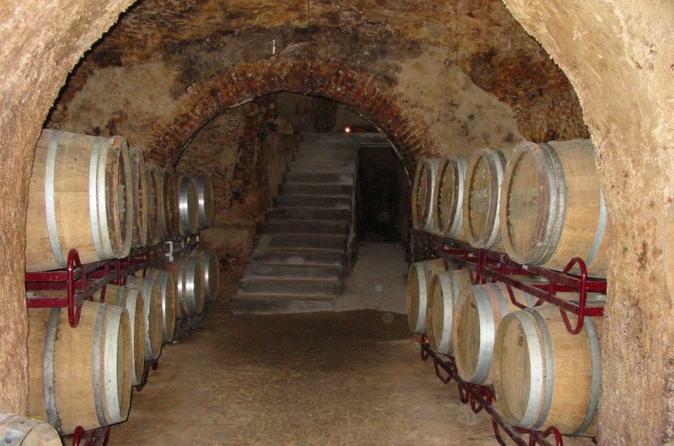 Embark on a small group tour (maximum 7 people) to two wineries outside Madrid. Tour the vineyard with a wine expert. Taste a variety of wines. Enjoy a 3-course lunch complete with dessert and wine and stunning views of the vineyard. Visit a second winery following lunch. Savor the differences of each winery, the traditional vs. modern-style of wine-making, with more wine tastings. Stop in Chinchon, a quaint, medieval village. Learn of the rich history of this charming village. Return to Madrid.